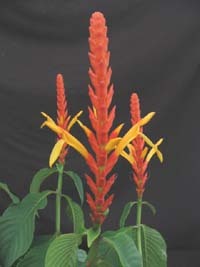 A. hartwegiana is easy. It likes bright shade, average water and fertilizer....that's it! Very simple. Of course, don't let it freeze and give it a good trim around July. Yellow flowers emerge out of long orange stalks in the fall time. Pretty and unusual!